As you know the most anticipated time of the year has arrived; New York Fashion Week. This seasons hottest trends are strutting down New York Cities runways. 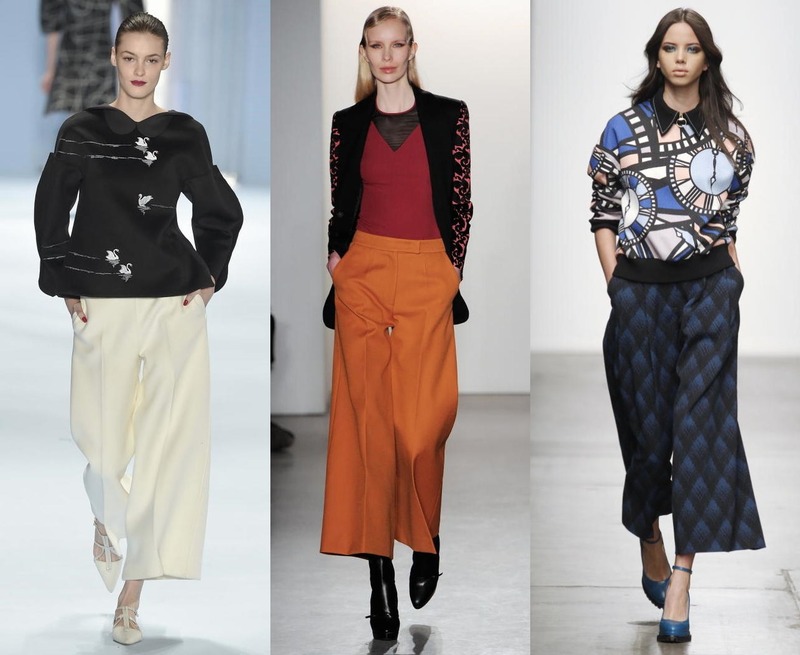 Fall 2015 runway has got everyone going crazy over the wide-legged trousers. Almost every designer has a wide-legged pant parading down their runway show, including Carolina Herrera, Guilietta, and Karen Walker. I can’t get enough of these wide-legged trousers, they’re super fun and refreshing. It’s time to put those uncomfortable skinny jeans away ladies and let our legs breathe. Whether you decide to layer up or not, these pants add the perfect amount of flirt and fun to tie your outfit together.